Beard styles come and go; but one thing most styles have in common is that they need thick and full beard hair. If your beard is patch, sparse and thin, it is almost certainly not going to give you the look that you’re after. That’s why today we’re going to look at how to make beard grow thicker. 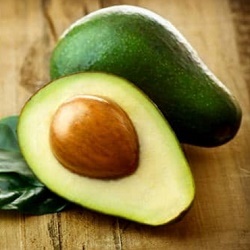 Avocado is full of essential fatty acids and omega 3s. You can consume this fruit to give your beard hair a boost from the inside; additionally, you can also use its pulp to condition the beard. While I also recommend beard oils and beard balms for this purpose; if you are bored or want a change, use avocado masque once in a week in place of beard oils to condition and nourish the beard. Chop an avocado finely and apply it to your beard. Let it remain on for 15 minutes. Wash off the beard with a mild shampoo. Use this beard thicken remedy once a week for best results. 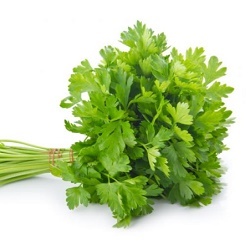 Boil some parsley leaves and use the water as a final rinse for the beard. This remedy clears up dandruff and arrests hair fall. 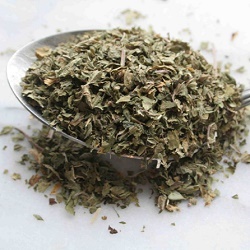 Use dried nettle leaves to treat dandruff. Make a tea with the leaves an use it as a rinse for the beard and scalp. This remedy curbs hair fall and can help grow thicker beard faster. If this is too much of a hassle, use any of the thicker beard products like this beard wash which contains nettle leaves. Put this simple garden succulent to good use. Cut open a leaf of Aloe Vera and apply its gel on the beard. You can leave the sticky gel on your facial hair for up to 20 minutes before rinsing clean. 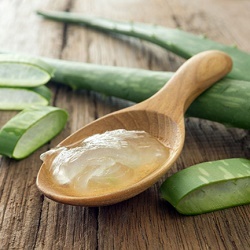 When used regularly, aloe vera stimulates hair growth, curbs hair fall and moisturizes dry, frizzy beard. 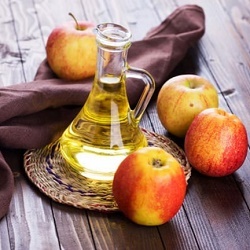 If your beard has bald patches, rub a little bit of apple cider vinegar (use only raw, unfiltered and unprocessed or organic Apple cider vinegar) on it. Use a small brush to comb through the beard. This easy remedy stimulates new hair growth making your beard thicker faster. I always recommend multi vitamins and minerals to keep your beard looking thicker and stronger. 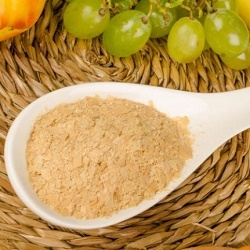 Along with a vitamin pill, take at least half a cup of Brewer’s yeast daily. You can add it to your drinks or sprinkle it on your food. This ingredient is rich in B vitamins and can stimulate new hair growth to make your beard thicker. 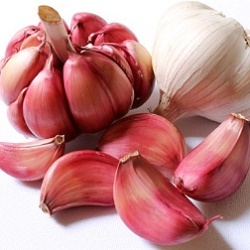 Garlic is anti-inflammatory and antimicrobial. It fights microbes and keeps your beard hair free from dandruff. Eat plenty of garlic or take a capsule with garlic oil. You can also rub raw garlic in the balding areas of the beard at least 2-3 times a day. This might make your beard stinky so make sure you wash it off with a good beard shampoo. Warm up some olive oil in a microwave-safe bowl. Add a teaspoon of cayenne pepper and apply the mixture to the beard. Massage it well and rinse off after 10 minutes. This is one of the best natural thicker beard tips to stimulate luxurious beard growth. You will need to continue this treatment since the hair fall might come back once you stop it. 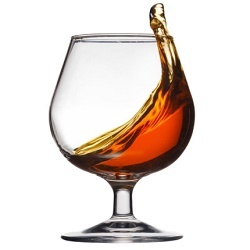 Place a couple of onion slices in 2 cups of brandy. Steep the mixture for two weeks. Strain and add some water to it. 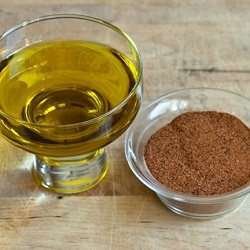 Rub the mixture on the balding areas to thicken your beard naturally. Sage – Apart from conditioning and nourishing the beard, this essential oil also fights dandruff and thickens hair. Rosemary – To grow thicker beard faster, apply rosemary oil mixed with Olive or Jojoba oil daily to your beard. Apart from thickening your beard, it also darkens the hair. Chamomile – This oil thickens the beard, stops dandruff and also lightens hair. It is ideal for blonde hair. Cedarwood – I personally use this wonderful oil thanks to its woodsy aroma. You can use it as is or in beard oil blends with other woodsy oils like Cyprus etc. This is a vitamin and mineral supplement specially formulated for Fast Acting results. 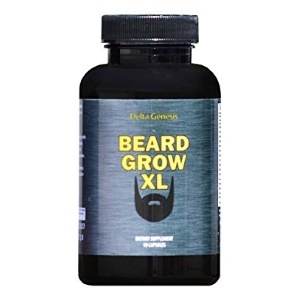 Many men have taken this supplement to grow thicker beard faster. Men with patchy beard, sparse moustaches and slow growth can benefit from this formula. You can see results in a few weeks. Thousands of satisfied customers have given this thicker beard product a five star rating. If you are looking for a non oily, Minoxidil free serum to grow thicker beard faster, then this is it. This wonderful serum gets easily absorbed by the beard and skin leaving no sticky residue. It contains all natural vitamins and is completely drug free. This wonderful set contains Aloe extracts, rosemary oil, eucalyptus oil, manuka, orange peel oil, argan oil, tea tree oil and Biotin. 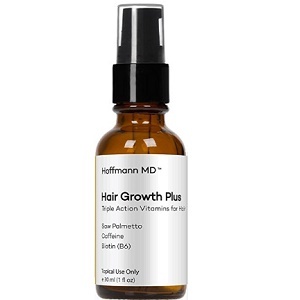 All these are hair stimulants that reduce DHT –a hormone that causes hair fall. It makes your beard look thicker and stronger. This set is also suitable for African American beards and other ethnic groups. How to make a beard grow thicker is not an exact science. Many factors can cause sparse beard growth – heredity, lifestyle and your diet being the important ones. Men, like women, also suffer from hair loss at different stages of their life. Although one cannot control all these factors, one can certainly use proper thicker beard products to keep the facial hair looking fuller. The above natural remedies and thicker beard products are able to prevent hair loss and also reactivate hair growth to increase volume and thickness of your beard. 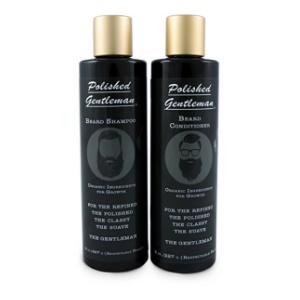 They are safe and affordable compared to many artificial ways that promise to make beard grow thicker faster. Grow Your Beard Faster by Avoiding These 5 Grooming Mistakes Best African American Beard Care Products Does Shaving Make Your Beard Grow Thicker (And Other Beard Myths!) 10 Natural Beard Growth Tips to Help Your Beard Grow!